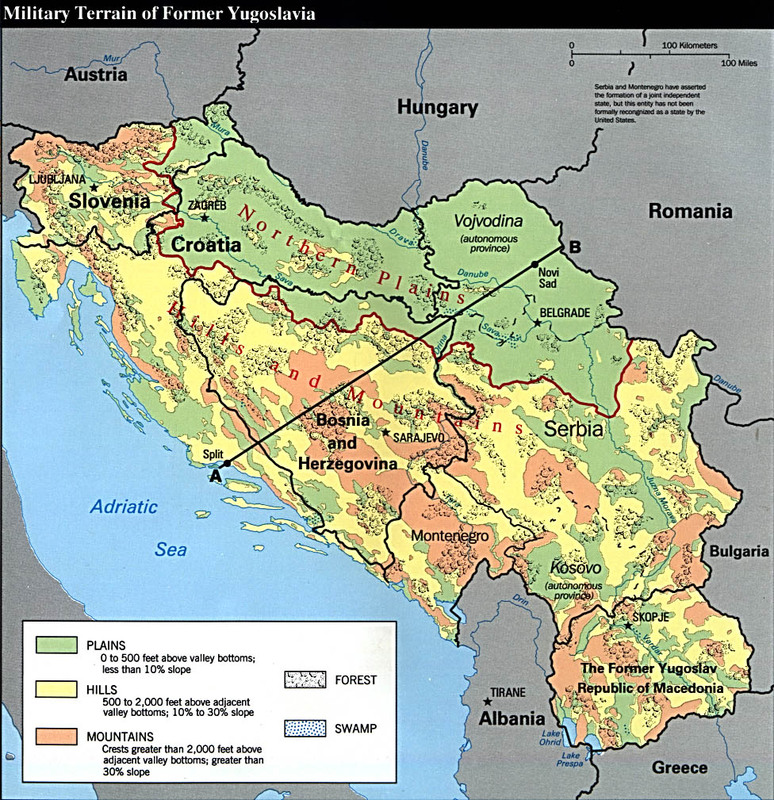 www.friendsofbosnia.org History of the war in Bosnia Written May, 1996 Historical Background The former Yugoslavia consisted of six republics and two autonomous regions. Today Bosnia and Herzegovina, Croatia, Slovenia, and Macedonia are independent nations. Serbia and Montenegro comprise the rump Yugoslavia. Bosnia-Herzegovina (prewar population 4.4 million): Bosnia has the most complex mix of religious traditions among the former Yugoslav republics: 44% Bosniaks (Muslims), 31% Bosnian Serb (Eastern Orthodox), and 17% Bosnian Croat (Roman Catholics). Bosnias Muslims are Slavs who converted to Islam in the 14th and 15th centuries after the Ottoman Empire conquered the region. From World War I until the end of the Cold War, Bosnia was part of the newly created country of Yugoslavia. Bosnia declared independence in March 1992. Serbia (including Kosovo and Vojvodina) (prewar population 9,800,000): This republic is the largest and most populous. 66% are ethnic Serb of traditionally Eastern Orthodox religion. Until 1989, Serbia also had two Âautonomous regions,Â Kosovo and Vojvodina. Kosovo, bordering Albania, was the historic seat of a traditional Serbian kingdom and the site of the famous Battle of Kosovo in 1389, when the Serbs were conquered by Ottoman forces. Today Kosovos population is 90% ethnic Albanian, most of them Muslims. The Albanians are a pre-Slavic ethnic group speaking a distinct language unrelated to the various forms of Serbo-Croatian spoken throughout the former Yugoslavia. More like last month in Bosnia, but there are some moving articles and photographs here. About Bosnia The first inter-ethnic armed clashes had already taken place around Mostar, on February 4, 1992, and the European recognition of Bosnian independence only made matters worse. Bosnia became the centre of one of Europe's blackest memories in modern history as Serbs, Croats, and Muslims all fought to expand or keep their territories within Bosnia, and carve out their own states within a state. By mid-1995, the majority of the country's land area was held by Bosnian ethnic Serbs, who carried out atrocious ethnic cleansing programmes. CHRIS HEDGES, bosnia Journal Ethnic Diversity Distorts history, Art, Language, New York Times, November 25, 1997. Kosovo Information Center. 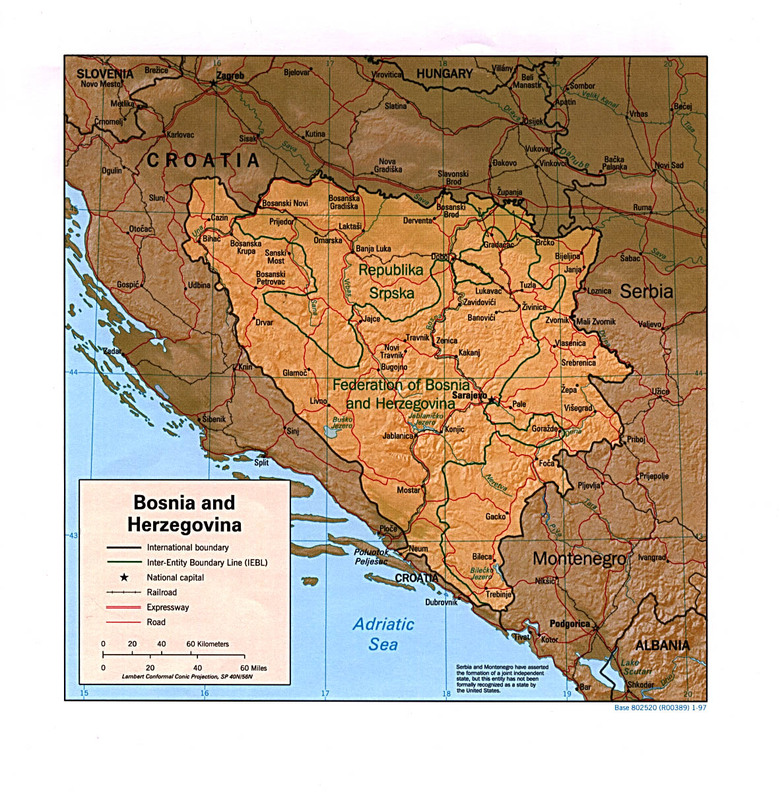 Mostar Online - http://www.bigfoot.com/~emer A Brief History Of Bosnia-Herzegovina BY ANDRAS RIEDLMAYER, Harvard University Area 19,741 sq. mi. / 51,130 sq. km (about the size of West Virginia; 1/4 larger than Switzerland). Picturesque mountain scenery (Bosnia's capital Sarajevo hosted the 1984 Winter Olympics), much of it covered by forests; no oil. Bosnia's traditional borders, established in the medieval period, are: the Sava River (in the N), the Drina River (E/SE), and the Dinaric Alps (in the W). Herzegovina ("the Duchy") is the historical name for the country's southwestern region (around the town of Mostar). Located in the heart of Europe (as the crow flies, Sarajevo is closer to Rome than Milan is). Population Until the late 19th century, people of all three faiths identified themselves simply as Bosnians. Most Bosnians today are in fact highly secularized, and more than a third of all marriages in Bosnia since the 1950s have been between partners from different religious/ethnic backgrounds. While there were some villages in the countryside where one group or the other predominated, Bosnia's towns and cities have traditionally been the shared home of people from all ethnic and religious groups. The latter include Jews, who found a haven in the tolerant city of Sarajevo in 1492, following their expulsion from Spain. Unlike Jews in Venice and elsewhere in Europe, Sarajevo's Jews were not confined to a ghetto. The city's principal mosques, its synagogues and Christian churches are all located in close proximity to each other, a visible sign of the intermingled public and private lives of its ethnic and religious communities. Information on history of bosniaHerzegovina. Short Review of History of Bosnia-Herzegovina (from Embassy of Bi-H in Washington D.C.
9. Bosnia: Can You Blame History? Can you blame history? It is tempting to say that Serbs, Croats and Muslims in Bosnia have been at war because of age-old ethnic hatreds. But it is not true. Picture postcard view, rabid politics: the Bosnian town of Mostar at the turn of the century. The three main groups in what used to be Yugoslavia have long histories - more than one thousand three hundred years for the Serbs and Croats, six hundred for the Muslims. But for most of that time there has been no war and little hatred. Hostility between the groups is modern, born of the same jingoistic nationalism throughout Europe that produced the First World War. There is even a strong argument that violence creates ethnic divisions, rather than the other way round. Violence and the fear of violence forces people to take sides. Children of mixed marriages and people for whom ethnic identity was never a big issue suddenly have to choose. Am I a Serb, in which case the armed men storming down the street outside will leave me alone, or am I a Muslim, in which case they will probably kill me? on Zamir-chat and other mailing lists, as well as at your personal mailbox. There have been many additions since last site-wide revision. 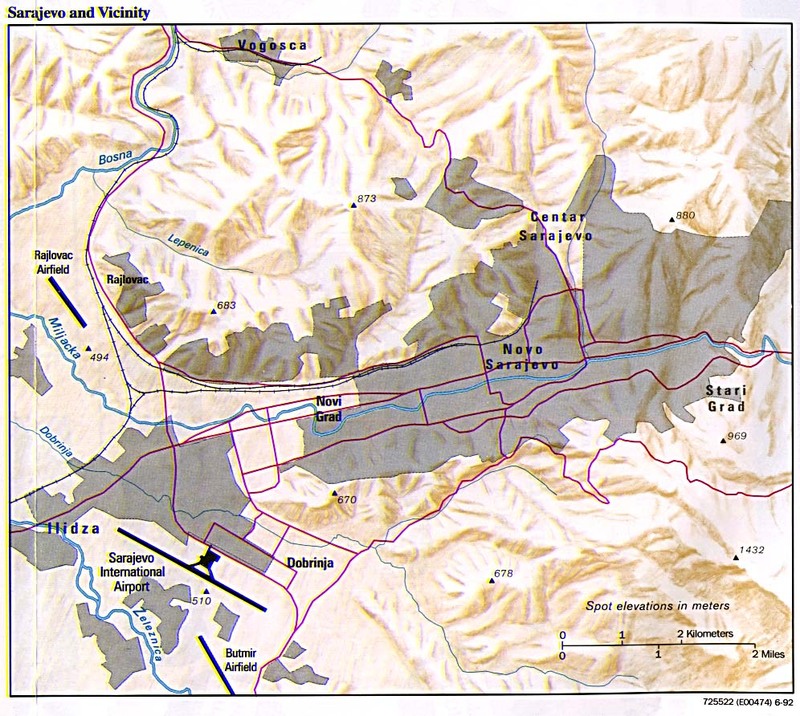 Initiated by Ayhan Irfanoglu and Ahmet Kirac in December 1994. Unfortunately, we are not able to reply to personal inquiries. Peace be with you. We would like to note that bosnia @ cco.caltech.edu account has never been used in any Relay, Chat, or Discussion Group postings. Any such letter seemingly originated from this account is a fraud. Please verify with us, at bosnia @ caltech.edu, if you receive any suspicious mail. Thank you. From North Atlantic Council Secretary General, following the North Atlantic Council Meeting of 25 July 1995. There is less than a year left: Arrest Now! By Andras Riedlmayer and compiled by the Council of Europe, 9 February 1995.
by Andras Riedlmayer, Harvard University Area 19,741 sq. mi. / 51,130 sq. km (about the size of West Virginia; 1/4 larger than Switzerland). Picturesque mountain scenery (Bosnia's capital Sarajevo hosted the 1984 Winter Olympics), much of it covered by forests; some coal and minerals, no oil. Bosnia's traditional borders, established in the medieval period, are: the Sava River (in the N), the Drina River (E/SE), and the Dinaric Alps (in the W). Herzegovina ("the Duchy") is the historical name for the country's southwestern region (around the town of Mostar). Located in the heart of Europe (as the crow flies, Sarajevo is closer to Rome than Milan is). Population Until the late 19th century, people of all three faiths identified themselves simply as Bosnians. Most Bosnians today are in fact highly secularized, and about a third of all urban marriages in Bosnia in recent decades have been between partners from different religious/ethnic backgrounds. While there were some villages in the countryside where one group or the other predominated, Bosnia's towns and cities have traditionally been the shared home of people from all ethnic and religious groups. The latter include Jews, who found a haven in the tolerant city of Sarajevo in 1492, following their expulsion from Spain. Unlike Jews in Venice and elsewhere in Europe, Sarajevo's Jews were not confined to a ghetto. The city's principal mosques, its synagogues and Christian churches are all located in close proximity to each other, a visible sign of the intermingled public and private lives of its ethnic and religious communities. Origins of bosnia s ethnic groups. Serbs, Croats, Muslims. The Orthdox Christian Serbs spent 500 years as a subject people of the Muslim Ottoman Empire. and successfully targeted national libraries, museums and archives, in the process wiping out nearly the entire written record of bosnia s history. Information on major cities, both entities and the culture, history and geography of the nation. Welcome to Bosnia and Herzegovina. In the last years, this country is only named in relation to war and misery, but not many people know that this country in fact has a lot more to offer. That's why this page has been set up to show this to the traveller, hoping that it will be a good reason tot visit this old country, but young state. WWWVL history Index site providing links for bosnia and Herzegovina history, including warcrime trials, and more general Balkan related history. The WWW-VL: History: W3 Search Engines. 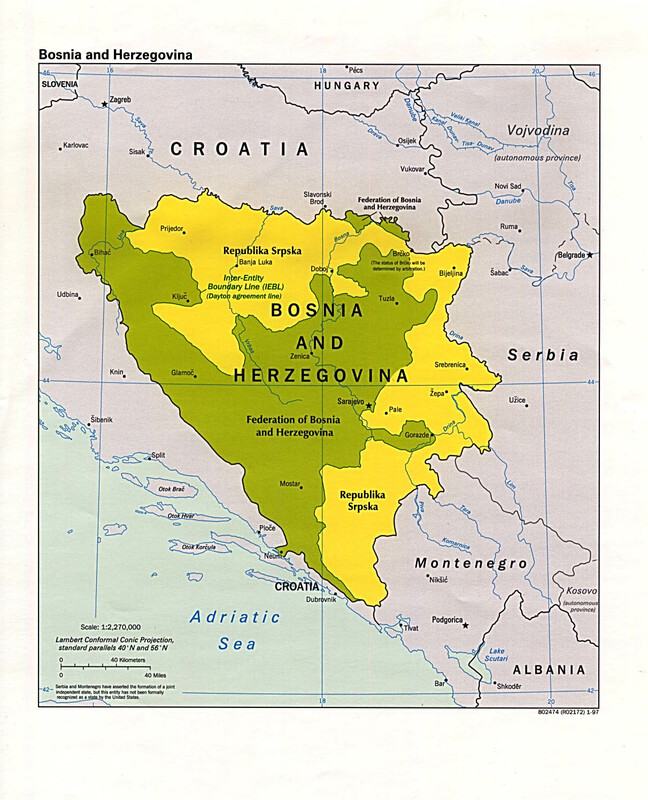 Country Info Bosnia Introduction Bosnia General Data Bosnia Maps Bosnia Culture ... Bosnia Time and Date Bosnia and Herzegovina History Back to Top The three main ethnic groups in present-day Bosnia and Herzegovina are Bosniak, Serb, and Croat, and languages are Bosnian, Serbian, and Croatian (formerly "Serbo-Croatian"). Nationalities are Bosniak (Muslim), Bosnian Serb, and Bosnian Croat. Religions include Muslim, Orthodox, Catholic, Protestant, and some others. For the first centuries of the Christian era, Bosnia was part of the Roman Empire. After the fall of Rome, Bosnia was contested by Byzantium and Rome's successors in the west. Slavs settled the region in the 7th century, and the kingdoms of Serbia and Croatia split control of Bosnia in the 9th century. The 11th and 12th centuries saw the rule of the region by the kingdom of Hungary. The medieval kingdom of Bosnia gained its independence around 1200 A.D. Bosnia remained independent until 1463, when Ottoman Turks conquered the region. During Ottoman rule, many Bosnians converted from Christianity in favor of Islam. Bosnia was under Ottoman rule until 1878, when it was given to Austria-Hungary as a colony. While those living in Bosnia came under rule by the Austrian-Hungarian Empire, South Slavs in Serbia and elsewhere were calling for a South Slav state. World War I began when Serb nationalist Gavrilo Princip assassinated the Archduke Ferdinand in Sarajevo. Following the Great War, Bosnia became part of the South Slav state of Yugoslavia, only to be given to Nazi-puppet Croatia in World War II. During this period, many atrocities were committed against Jews, Serbs, and others who resisted the occupation. The Cold War saw the establishment of the Communist Federal Republic of Yugoslavia under Josip Broz Tito, and the reestablishment of Bosnia as a republic with its medieval borders within the federation of Yugoslavia.